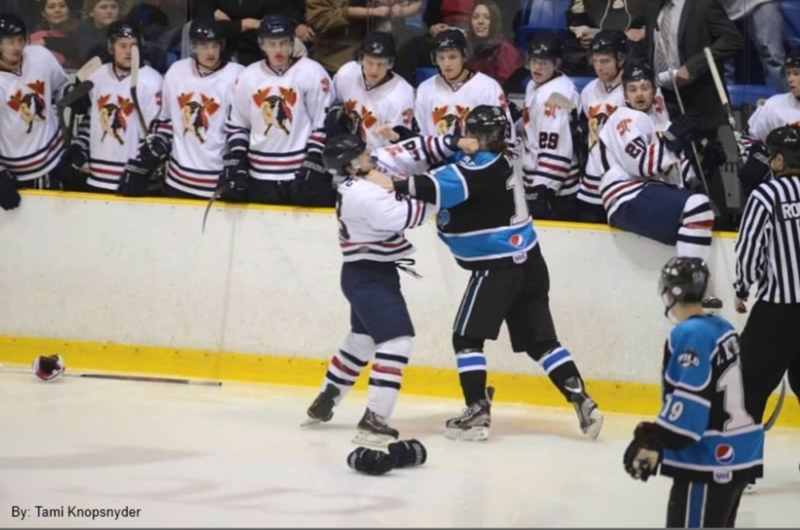 This weekend your Johnstown Tomahawks will battle the Fresno Monsters at the Cambria County War Memorial Arena. Currently, the Johnstown Tomahawks have a record of 22-18-10 good for 54 points and fourth place in the North division. 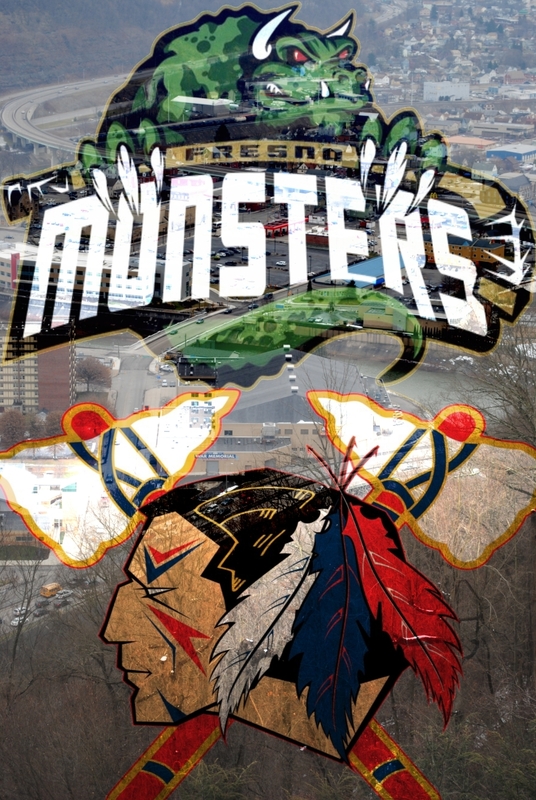 The Fresno Monsters are having a bad year as they have a record coming into the weekend of 12-28-6, good for 30 points and last place in the West division. But because their division only has four teams this year they will still make the playoffs. These two teams played each other back in December when Fresno hosted the traveling Tomahawks. Johnstown won both games, 6-1 and 4-3. Colin Brennan played in both games. For Fresno, Macauley Haight and Tomas Sholl split time in net, each picking up a loss. So far, Andrew McDonald leads the Tomahawks in scoring against the Monsters. In two games, McDonald has one goal, three assists, and four points. The scoring leader for the Monsters is Matt Salituro. In the two games vs Johnstown he has two goals, one assist for three points. Salituro also picked up one assist vs Johnstown when he was playing for the Janesville Jets at the beginning of the season. Fresno is on a 10 game losing streak. Their last win came on 1/19/2013 vs Wenatchee, 4-3. When Johnstown leads after two periods they are 16-2-2. With Johnstown's last game selling out their average attendance is now up to 2,420. That's good for 5th in the league. Taken by TheTomablog contributor Tami Knopsnyder. 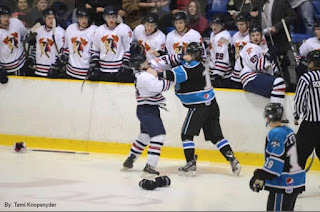 Gylling in his first NAHL fight vs Kerr. The Tomahawks have their official game preview up on their website which you can get to by clicking here. The Johnstown Tomahawks are holding voting for their first ever "Tomahawks Awards". Make sure you vote and you can do so by clicking here. The Playoffs are getting closer, so make sure you follow up on how the playoff formatting works. The representative from the Johnstown Tomahawks facebook page was able to pass me along the information. Check it out here. For those Johnstown Chiefs fans, it reminds me a lot of the ECHL in terms of how the division we're in is different than everybody else. We will have a Gameday Preview sometime on Friday and then a Recap/Preview of game two on Saturday. Follow us now on Facebook. Link is in the side bar. Also make sure you are following the teams official Twitter, Facebook, and Website for official news and updates. Our goal here is just to show support for the team and hopefully funnel interested fans to the team. 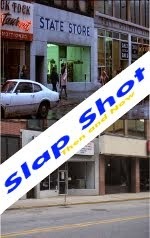 And if you're like us, you just can't get enough Johnstown hockey and that's one of the reasons we started this blog.